Depending on the variety of Spaghetti squash, this vegetable can be large, oblong and have light to buttery yellow or deep orange skin. This winter squash looks similar to a melon and has a moist, mellow, nutty flavor. This squash is known for its unusual, cooked, yellowish flesh that separates into long, translucent strings that resemble pasta. 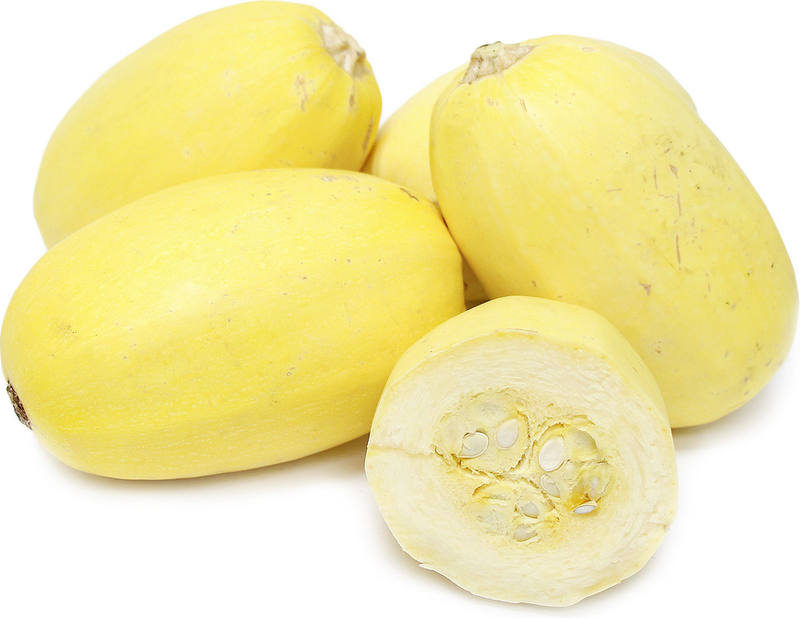 Spaghetti squash is available in the fall and winter months.